We are a very small group of people who are committed to helping rescue pets from the city pound as well as assisting other pets in need. We have a small board of directors and our rescue is run entirely by volunteers and from donations and fundraising. We are an official 501c3 non profit organization which means all donations are tax deductible. 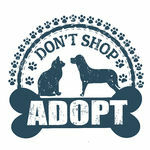 Mitchell Animal Rescue (MAR) was formed in October 2008 by two Mitchell residents. It is a foster based rescue located in Mitchell, SD. MAR is not affiliated with the City of Mitchell, Lakeview Vet Clinic, or any other rescues. Our #1 priority at MAR is to save the adoptable animals from the local pound in Mitchell. When an animal is not adopted or unclaimed when their time is up, MAR adopts the same way anyone else does. We do not have a facility. We house our pets in foster homes. Generally, we do not know anything about the animals we take in. However, in the home setting we learn important information about the animals. This helps us when we are looking for homes for them to make sure it will be a good fit. We are always seeking dedicated volunteers. If you would like to help us with our goals, please contact us. Many daily activities are required to operate MAR. Since we all have jobs, families, our own pets and foster pets, we're always open to more help. We are a 501c3 non-profit and all donations are tax-deductible! Without Mitchell Animal Rescue, all the pets we foster would more than likely be euthanized! Fuel to transport a pet to a foster or another rescue - we all know how much that adds up!